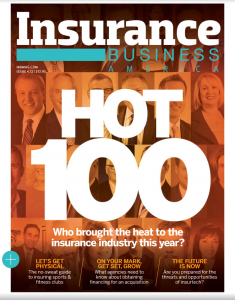 In this month’s issue of Insurance Business America (Issue 4.12), ANE CEO John K. Tiene discusses how technology is changing everything for agents, but they underestimate just how much. Insurance agents should heed the lesson of the dodo bird. Most notable for its sudden extinction some 300 years ago, the flightless dodo has no natural predators until humans colonized its native island, Mauritius. The clumsy birds were easy to catch and defenseless against the island’s new population of cats, rats and monkeys. The demise of the dodo was swift. In just 75 years, the bird ceased to exist. Agents stuck in the olds ways of doing business may face a future as dire as the dodo. Most agents understand that technology is changing, but they underestimate how dramatically technology is impacting the relationships they have with their clients. Consumer expectations are evolving. Clients still want a relationship with their agent, but the nature of that relationship is very different than it was just a few years ago. From my vantage point, insurance agents are not changing fast enough to keep up, and the clock is ticking. Agencies still look a lot like they did 20 years ago: people sitting at desks in front of computers, using the phone as the primary way to contact customers, all between the hours of 8:30 a.m. and 5 p.m., Monday through Friday. In the next 10 years, successful insurance offices will look dramatically different. A physical office may not even exist because portals and cloud-based computing will enable clients to do many transactions themselves – faster, more efficiently and, most important, when it’s convenient. Consider the new client. At the beginning of the relationship, you have a lot of personal interaction. You’re counseling them, explaining coverage options, building a relationship. Eventually you sell them a policy. At this point, a lot of agents would send a paper policy. But today’s clients don’t want a stack of paper. They expect a portal connected to an app on their phone, laptop or tablet where they can access all the information they need: policies, ID cards, driver information and so on. Using the portal, they can also chat with agents and download forms. The connected consumer of today is already using technology to buy their groceries, clothes, utilities and financial services. Companies like Amazon, Google and Charles Schwab are leading the way, defining what convenience and efficiency looks like in the minds of our clients. For example, Charles Schwab customers can interact with a financial advisor in person or via text, email or phone. At some point, consumers are going to ask themselves, “How come I can’t do insurance this way?” If agents don’t embrace technology to offer a multi-channel approach with the convenience and ease of use that clients expect, they will no longer be relevant. Their clients are going to migrate to new insurance channels, and it won’t be easy to get them back. It’s not just about retaining clients; it’s about attracting new clients, too. Disruptors in the insurance marketplace are even further along in terms of technology adoption and integration, and they’re threatening the traditional distribution insurance model. Lemonade, for example, is a new peer-to-peer insurtech startup that promises customers instantaneous homeowner’s and renter’s insurance quotes with a simple swipe of their smartphone. A feature called “switching” allows users to cancel policies, obtain a refund and buy a new policy with the click of a button. Within the first 48 hours of launching in New York, the company had 142 policies and thousands of dollars in premiums. No agents involved. There are hundreds of these disruptors looking to build a better mousetrap. Independent insurance agents have a tremendous advantage in the marketplace – existing relationships with clients, the ability to provide consultative advice and a tradition of serving their communities. A well trained, knowledgeable insurance professional will always be successful because clients still want the counsel and support that only a real live professional can provide. However, the nature of that relationship must change for that agent to survive. Today’s tech-savvy clients want to be able to do things seamlessly without making a phone call. They don’t need advice and consultation to manage billing or get an ID card.